"These tasty potato treats will tingle your family's taste buds and cook right in your microwave. The spice amounts are up to you so you can alter the spiciness of the dish to your liking." Pierce potato wedges with a fork, and arrange in a single layer on a microwave safe plate. Drizzle with oil and sprinkle with salt, pepper, paprika, garlic powder and Parmesan. Microwave on high for 10 minutes, or until cooked through; rotate the plate after 5 minutes if your microwave doesn't have a rotating plate. 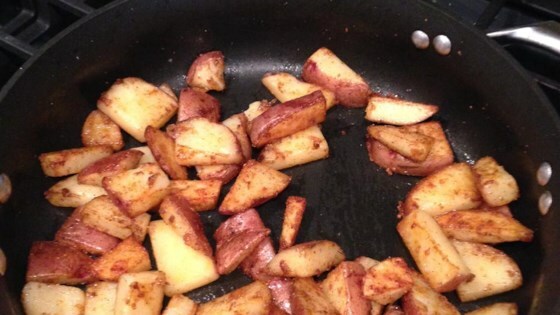 See how to make perfect baked potato wedges with a crispy crust. I think this recipe is great, except I don't like to microwave food. I think that it turned out good in the oven 350 degrees for 45 min. adding the cheese near the end. Good quick sidedish. Doesn't heat up the kitchen in the summer and can be served with many things.